It is time!! 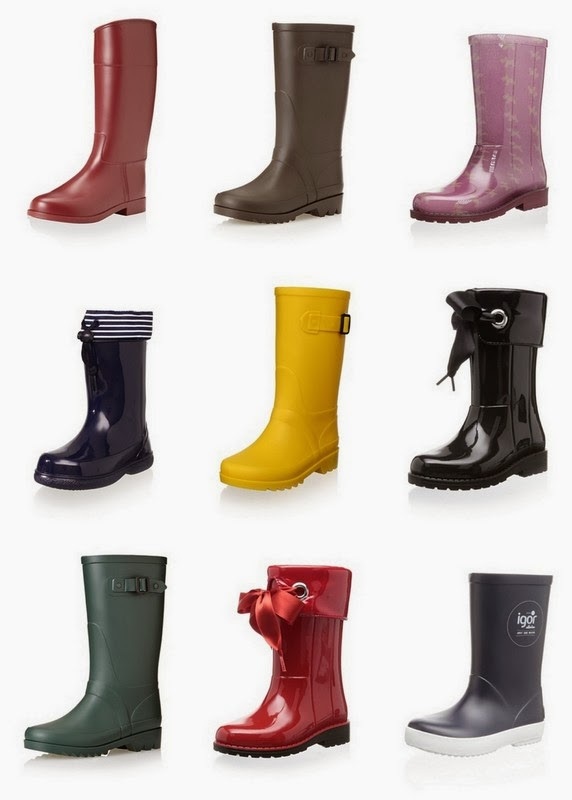 Spring rains are coming, and all of the great rain boots above (and many more) from the Spanish footwear company Igor are at least 50% off right now at MyHabit. I love the shiny ones with the big bow at the front as well as the classics in solid colors. They range in price from $25-$35 and all ship for free from MyHabit. Sale ends Tuesday, March 11th at 9 am PT.